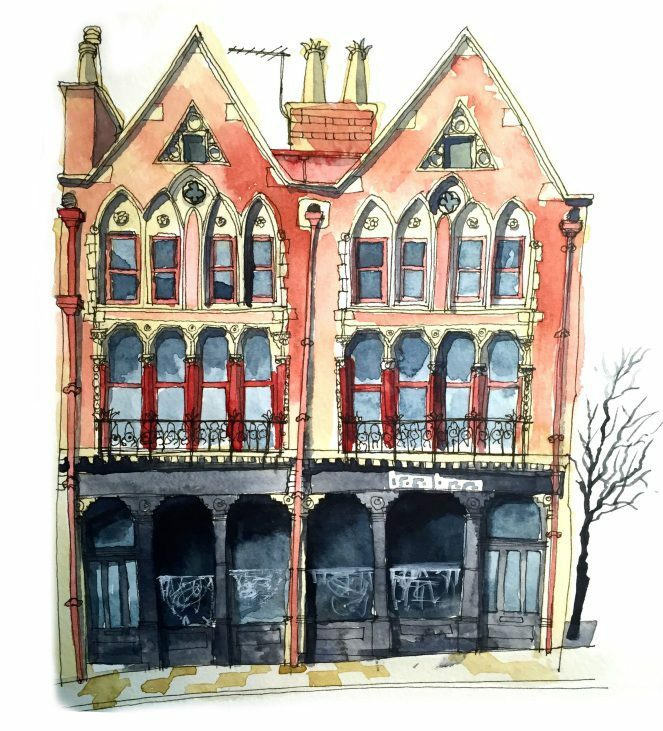 I love drawing and painting buildings, especially some of the wonderful buildings you can see around Leeds and Yorkshire. I am not chasing an architecturally accurate representation, more something that captures the spirit and character of the place. Please browse the pictures I have on offer here. I am also happy to take commissions if you want a picture of your house, favourite pub, wedding venue or any building with special significance to you. Any commission considered, I have even painted the odd dog when asked. If you want more information or want to commission a painting please get in touch first. I will be able to let you know how busy I am and give an idea of timescales.